BARBADOS (AUS) (Grey 2008-Stud 2013). Winner at 1100m, ATC Styletread.com.au P. Out of SW Virage de Fortune. Sire of 34 rnrs, 17 wnrs, inc. Atlantica, Sir Garfield, St Georges Vaults, Bajan, Caribbean Pearl, My Blue Jeans, Martinique, Toolbar, Lucky Master, Rustydustysunshine, Tropical Lightning, Zagato Star, Bramfield, Galcrum, Lady Conquistador, Wonderful Riri, Caribbean Doll and of the placegetters Justica, Sheza Little Posh, Bar Gem, etc. Legal Girl. 2 wins-1 at 2-at 1500m, 1600m, A$81,765, to 2017-18, 2d ATC TAB Rewards H., 3d ATC Tab.com.au H., SCTC Monaco Resort Sacred Elixir 2YO H.
King Hewitt. 2 wins at 1200m, 1600m in 2017-18 in Aust. Catalyst Fire (f. by Al Maher). 3 wins from 1200m to 1600m to 2018-19, TRC NBCF Zero Deaths H., 2d TTC One Thousand Guineas, TRC Crown Lager Aust's Finest H., 3d TRC Hobart Cup Raceday H., Schweppes H., 4th Tasmanian Oaks, L.
Martinique (f. by Barbados). Winner. See below. Takalua (g. by Zeditave). 2 wins at 1200m in Aust. Quick Lover. 6 wins to 1250m, A$149,940, SAJC Sportingbet H., Holdfast Insurance H., Syd McDonald's 90th H., 2d SAJC Sportingbet H., Become a Member H., Oakbank RC Musgrove Wheeler Life Members H., 3d SAJC Fred Worthley Memorial H., Hughes Limousines H.
NAVY SHAKER (Polish Navy). 7 wins to 1250m, A$211,250, SAJC City of Marion S., L, Allan Scott Oam Flying H., Scott Group of Companies Flying H., Marsh H., Hot Latin Nights H., Spring Racing at Morphettville H., 2d SAJC Crown Lager H., MRC Jayco Cup H., MVRC Join Winners Club Today H., SAJC Carlton Draught H., Malaysia Airlines H., Skycity Adelaide Cup Carnival H., 3d SAJC Durbridge S., L, Neil Richardson H., Marsh H., 4th MRC Christmas S., L.
OUTLANDISH LAD (Fantastic Light). 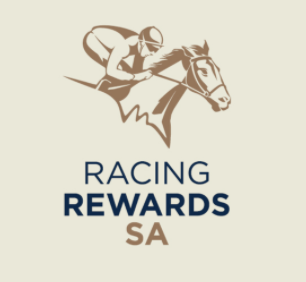 12 wins to 1550m, A$636,573, SAJC DC McKay S., Gr.3, MVRC Abell S., L, MRC CFV Nightingales H., SAJC Capital Transport H., Allan Scott Park Morphettville H.-twice, VRC All Greys H., SAJC Kadina Jewellers H., FMG Engineering H., Cheltenham Last Day H., Winning Post Restaurant H., MRC Betfair H., 2d SAJC Christmas H., L-twice, City of Marion S., L, MVRC Variety Children's Charity H., 3d MVRC Australia S., Gr.2, SAJC Matrice S., L, MVRC Tony Beddison Cup, SAJC Adelaide Casino Cup Day H., 65 Plus Income Protection H., Sportingbet H., Platinum Fine Homes H., 4th VRC Tab.com.au S., Gr.3, SAJC City of Marion S., L.
Winner at 1100m in 2018-19, 2d SAJC Darley H., 3d SAJC Jim & Glenda Smyth's Birthday H.